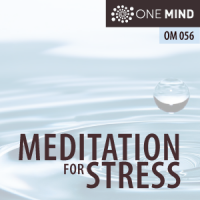 This episode of the OneMind Meditation Podcast is an abbreviated version of our last episode which addressed the stress associated with the US presidential election. Several of you requested an abbreviated version of that guided meditation, without the prelude and commentary. So this guided meditation for stress and relaxation will ground you in the part of yourself that is always at rest. It will help you let go into the deepest part of each one of us, a part that is forever untouched by the drama and trauma of the world. I encourage you take the time and let yourself enjoy the unbounded freedom and release that comes from immersing yourself in pure being. Stress is simply a reaction to a stimulus that disturbs our physical or mental equilibrium. In other words, it’s an omnipresent part of life. A stressful event can trigger the “fight-or-flight” response, causing hormones such as adrenaline and cortisol to surge through the body. According to the National Institute of Mental Health, scheduling regular times each day for relaxing activities like meditation is one of the best things you can do to mitigate your stress. Why is meditation such a great response to dealing with stress and anxiety? Most importantly, it stimulates you relaxation response, which is the opposite of your fight or flight response. In essence the relaxation response kicks your parasympathetic nervous system into gear. That’s a hallmark of mental, emotional, and physical wellbeing. When that happens, you’re on the right track! 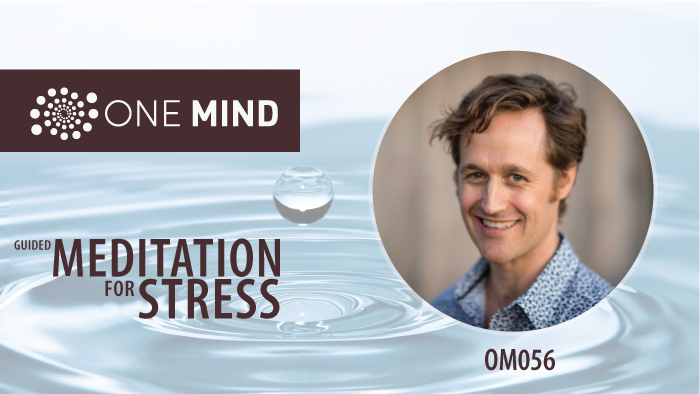 Morgan Dix is a writer, educator, and cofounder of About Meditation who explores the intersection of meditation and culture through articles, eBooks, courses, and the popular OneMind Meditation Podcast. Read more articles by Morgan here. Amazing meditation, really centering, ,the best yet, thank you. Just need to make it a habit now !! Awesome. Thanks for the feedback Fiona. If you haven’t checked out our episode on habits, it’s Episode #8. Enjoy! Get FREE access to the Meditation for Life program and receive weekly guidance to support your meditation journey.